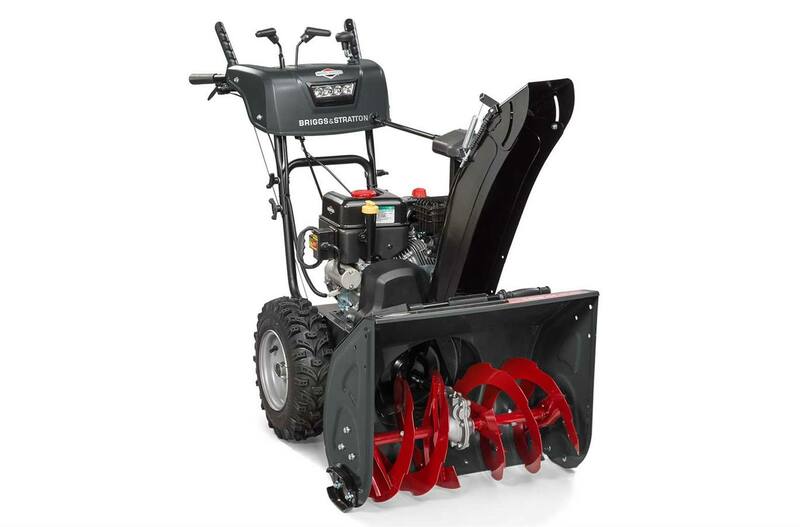 Tackling moderate to heavy snow on medium driveways and pathways can be a breeze with a snow blower equipped with a powerful Briggs & Stratton 950 Snow Series™ Engine, dual-trigger steering for making easy turns and heated hand grips to keep hands warmer on cold winter days. Briggs & Stratton 950 Snow Series™ Engine: Specially designed to start strong (down to -20°F***) and power through in the toughest winter conditions, this engine offers uncompromised power and displacement to help you get the job done. Plus, oversized controls provide mitten-friendly operation.